The audacious and elegiac second instalment in her 'living autobiography' on writing and womanhood, from the twice-Man Booker Prize-shortlisted author of Hot Milk and Swimming Home. Following the acclaimed Things I Don't Want to Know, Deborah Levy returns to the subject of her life in letters. The Cost of Living reveals a writer in radical flux, considering what it means to live with value and meaning and pleasure. This perfectly crafted snapshot of a woman in the process of transformation is as distinctive, wide-ranging and original as Levy's acclaimed novels, an essential read for every Deborah Levy fan. It’s easy to be swept up in a story, but what happens when we step outside of the stories people tell us about ourselves? 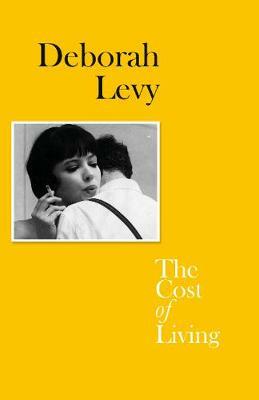 The Cost of Living beautifully describes Deborah Levy stepping from an old story into a new one. A wonderful and kind meditation on change and the best book I've read all year, in parts eye-wateringly moving and others, snort-inducingly funny. In a world that is uncertain and vulnerable, there is wisdom, and Her name is Deborah Levy.